Constructed in 1903 as the third extension to the fish market (now the Briggait artist studios) by the Office of Public Works under AB Macdonald. Painted ashlar, single storey, triple arched former entrance (one with historic ironwork gates) to the third hall of the market complex. Pilasters dividing bays. 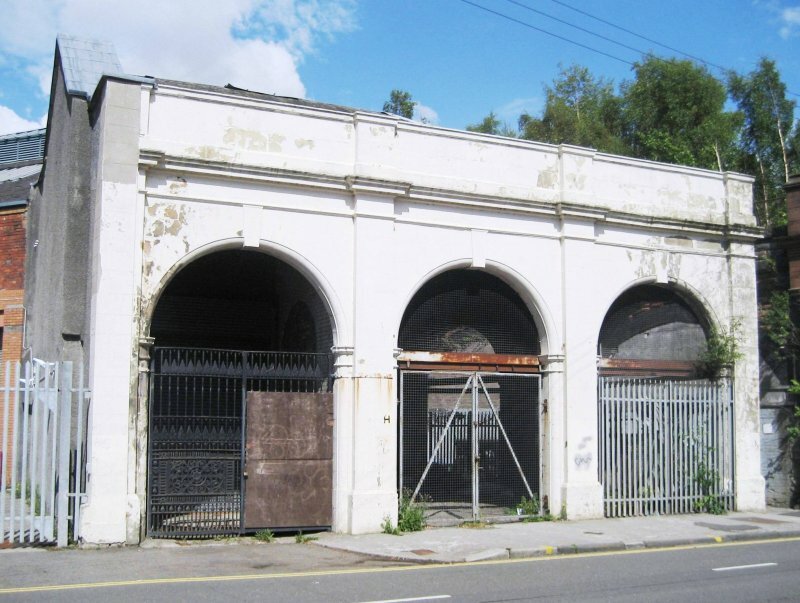 6 November 2013: External inspection finds the the open-arched building in no obvious use and in need of maintenance. Historic ironwork gates are damaged and patched with a timber panel. Significant vegetation growth is evident to the side elevation. Some settlement or movement is apparant to the side elevation with walls appearing also to be damp along the lane. The redevelopment of the former fishmarket into artists studios around 2008 excluded this corner building, instead proposing some stabilisation works with a view to future development into the site as funds became available. 12 August 2014: Local planners advise the property is considered to be part of the A-listed Briggat complex. Record updated accordingly. 21 May 2015: Local planners advise that WASPS studios intend redeveloping this property as an extension to the existing facility. It is understood that they have engaged a local architectural practice to help develop the scheme. 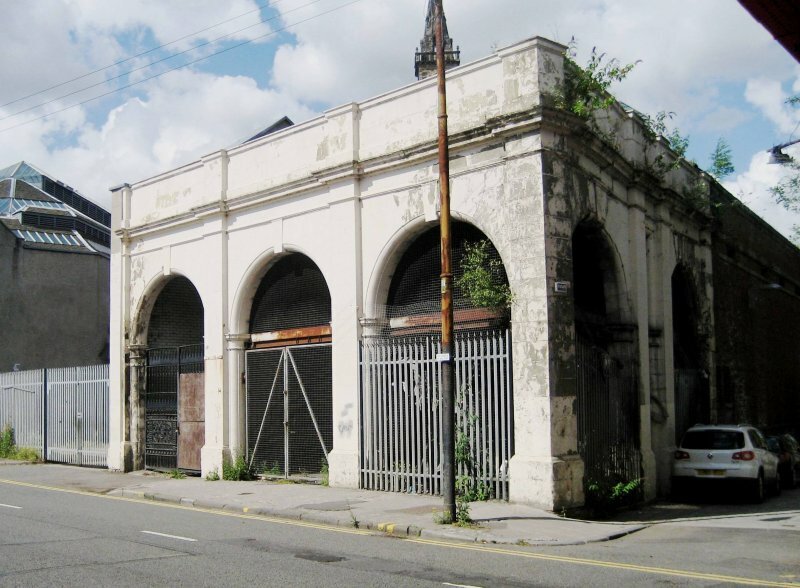 3 March 2016: Consents are being sought for the redevelopment of part of the Briggait complex to form dance studio space (16/00411/DC & 16/00414/DC). The development proposes the demolition of the corner block building: risk level moved from Low to High. The Briggait Fishmarket Conservation Plan (2007); Design Report The Briggait (2007) Nicol Russell Studios.